Tiff shared with us this great alternative to the sandwich method of layering Worbla for strength. Saving: You’re using a lot less Worbla so you’re saving a lot more compared to the sandwich method. 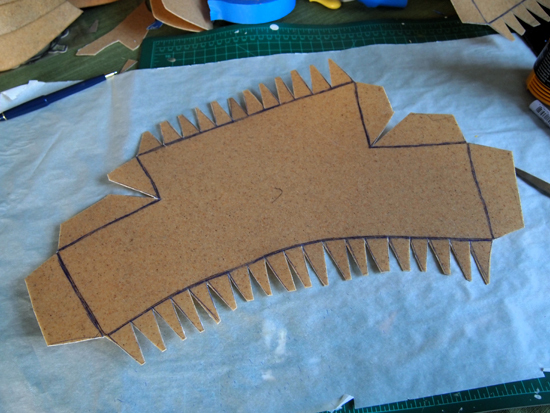 Reduced weight: Less Worbla means less weight. If anyone has ever used Worbla for armor sets and/or weapons, then they’d know the weight of it can be quite burdensome on the body. No air bubbles: So far, I haven’t gotten ANY air bubbles when folding it. The sandwich method, in my experience, is a lot more prone to them. Air bubbles are my worst enemy. More flexibility: The material remains sturdy but can still “give” at the same time. This is exceptionally important when making bracers, belts and anything else that wraps around the body. Cleaner and sharper edges: Since you’re folding the Worbla over the edges of the foam, you won’t have to worry about cutting the excess around it ’cause there ain’t none! 1. 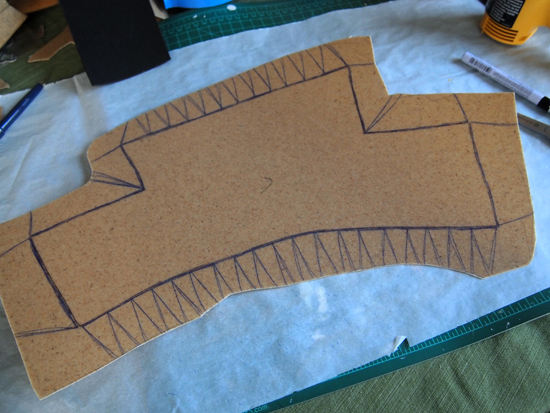 Cut the exact shape you need out of craft foam. 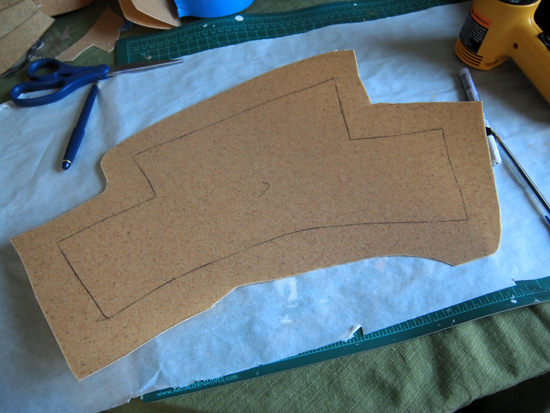 Use the craft foam to outline the shape on Worbla. Cut about 1-2 inches around it (I actually could’ve used a lot less from the picture). 2. Color or draw a “padding” right outside of the lines. 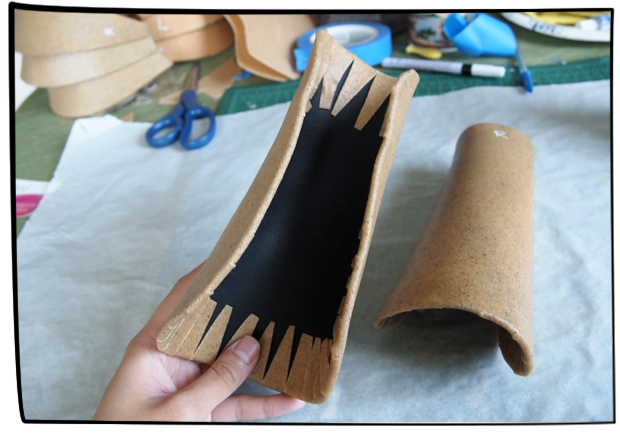 The padding has to be roughly the same size of the edge of the foam you are going to use to cover the Worbla with. This is exceptionally important and will act as your guide on where not to cut, if you want smooth edges. 3. Draw the rest of the lines that will show you what to cut out before folding it. 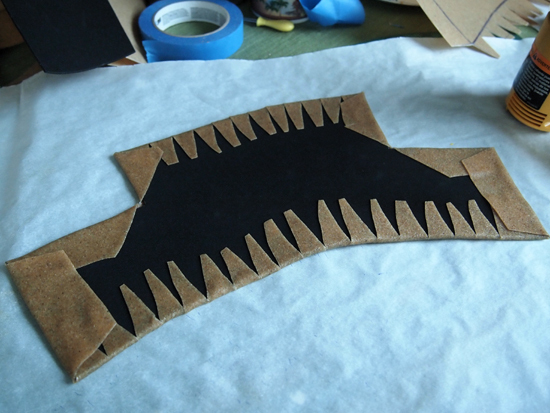 Edges that are straight are pretty straight forward (heh), and edges that are curved or rounded would have to be cut into triangles or little “shark teeth” (as pictured). 4. This is what it should look like after cutting out the unnecessary pieces. Remember not to cut over the “padded” line! 5. Turn up the heat gun and fold away! If the “teeth” feels like it is loose and not sticking on to the craft foam, you can heat it up again and press it down. 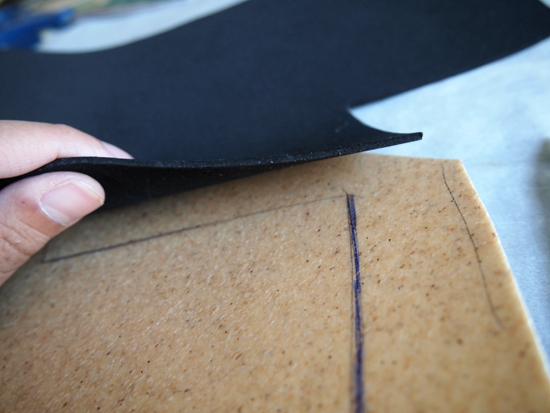 Edges can also be easily adjusted and fixed. This is what I’ve been using for my current project and it’s been a lot more effective! Sure, it may not look very pretty on the inside but no one’s going to see it as long as I have it on! With thanks again to Tiff for sharing this tutorial with us!